The centrepiece is the World Squash Day Challenge, a squash event that every club and centre globally can be part of. 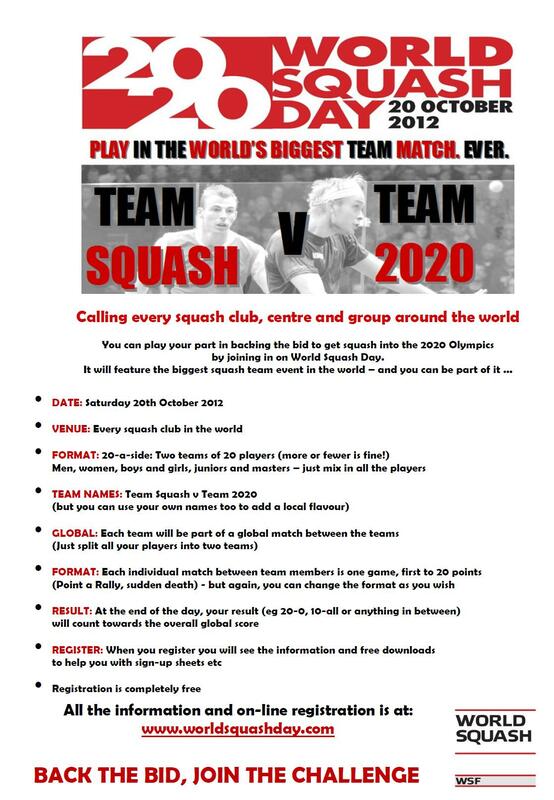 It will not only support the bid, but it will also be fun and satisfying to be involved in the largest squash challenge ever. 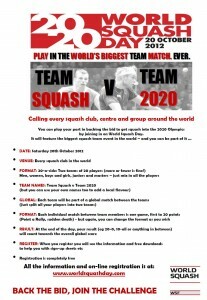 World Squash Day will provide an opportunity for all the clubs and centres in the country to gain media publicity on the day to help raise the profile of our sport. Read more by clicking on the image below.